No matter the industry, professional settings often have both public and private spaces. Business lobbies and school hallways typically experience the most traffic, resulting in the most noise. However, private offices and classrooms within those settings require a level of noise reduction in order to promote productivity and limit distraction. What exactly can be done in order to ensure the right levels of noise within spaces that require the minimum? Acoustic doors and acoustic windows are both affordable and effective options when looking to limit sound within a facility. What exactly are acoustic doors and windows? Simply put, they’re designed specifically to reduce levels of noise from passing through, both inside or outside of an enclosed room. The amount of noise reduction varies by the intended STC Rating. An acronym for Sound Transmission Class, this rating determines how well airborne sound is attenuated. Standard performance levels offered for acoustical doors include STC 51, 53, 55, 61 and 64. Acoustical windows are offered in STC 35, 53, 57, 58 and 59 ratings. One of the main benefits to acoustic windows and doors is privacy. Whether you’re looking to have productive meetings or keep sensitive client information safe, installing acoustic elements confine confidential conversations to that space. If your environment is more of an open floor plan, glass acoustic doors provide the sound reduction solutions needed while contributing to your spaces original design. You’ll never have to sacrifice the interior design of your workplace in efforts to maintain privacy and confidentiality. Another significant benefit is customization. Available in several finishes, acoustic doors and windows can be developed to compliment your space without taking away from performance. They’re also engineered to function with convenience in mind. 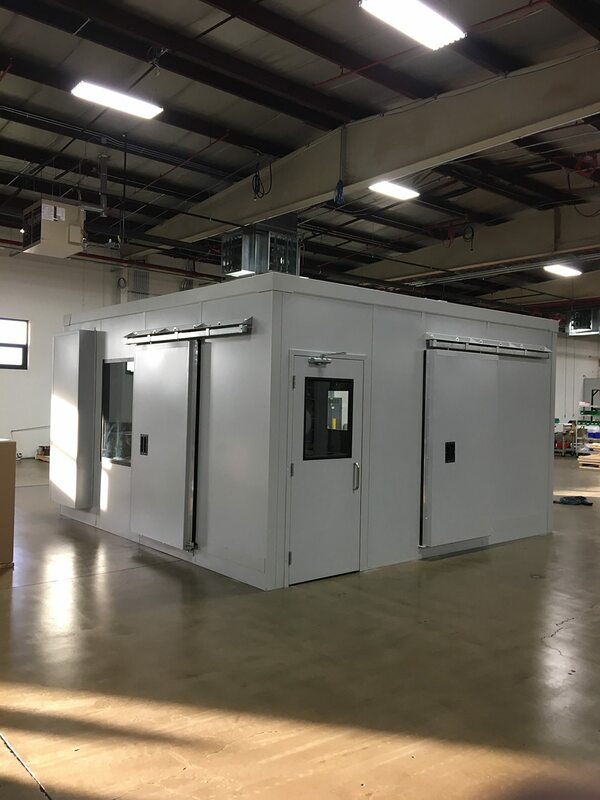 Every acoustic door and window we design is assembled in-house and tested for alignment, fitment and ease of operation. This results in the reduction of installation costs and eliminates errors in construction that leads to affected performance. While it’s impossible to block out noise completely, the right acoustical systems can achieve near-soundproof performance. Our door and window systems are designed to provide you with the level of noise reduction required for your space. Our systems come with many high-performance features, including self-aligning magnetic seals, cam-lift hinges and split frames that guarantee results. Regardless of your application, we’re qualified to help and provide you with the right acoustical solutions. Check out our acoustic doors and windows or contact us to get started!